Fire Connections, Inc. is here to meet all of your equipment needs. 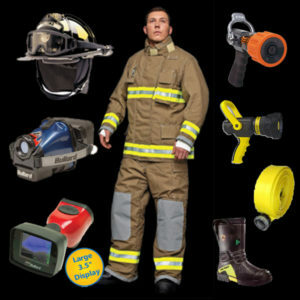 We offer a very broad line of firefighting tools and equipment to outfit any firefighter, truck, or station. We are proud to have on an extensive list of vendors that manufacture only the highest quality products. We offer a complete line of PPE, Thermal Imagers, Hose, Nozzles, and any other tool required to protect the lives and property of your community. At Fire Connections, Inc. we are dedicated to meet 100% of your equipment needs through response, product knowledge, and most importantly customer service. Please view some of our vendors listed below. Our lines are continuously growing so if you do not see what you need please give us a call and we will be sure to find your product. As always we truly appreciate your business and we hope each of you continue to perform your job safely!